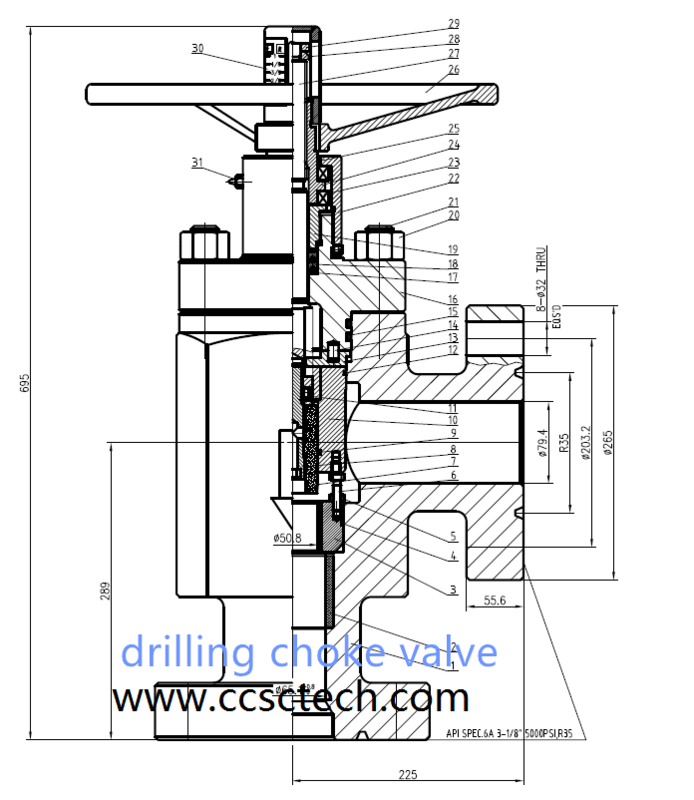 Drilling Choke valve is often used on the well for oil and gas application and often equipped on the choke manifold or kill manifold for oil production and drilling, water injection, flushing, well drilling, well testing operation. These choke Valves are designed and manufactured in accordance with API Spec. 6A. Our choke valves are easy for operation and maintenance and widely used in many oilfields. And earned a high reputation. ● Versatile for onshore and offshore applications. ● Long life for service.